Next month, the Mt. 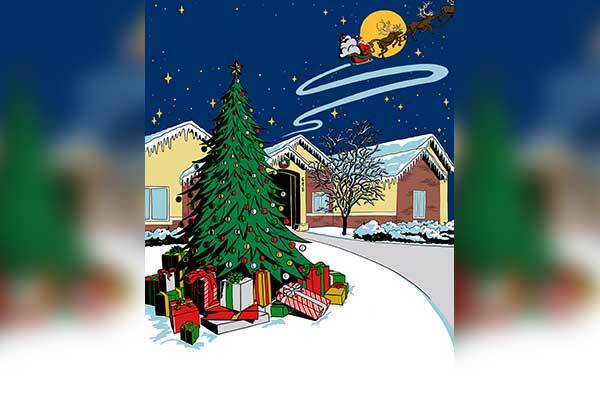 Graham Regional Medical Center Auxiliary will present the 2018 Christmas House. As previously announced, the 45th Annual Christmas House will be hosted by Jennifer and Clifton Labrum at their home at 695 North Diamond Springs Lane in Thatcher on November 2nd and 3rd. 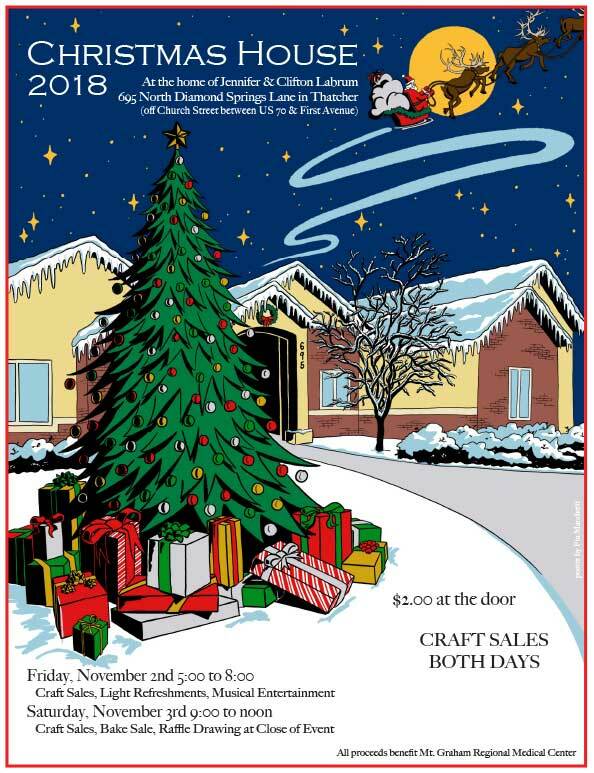 Four handmade items to be auctioned at the close of Christmas House will be on display in the window at Emil Crockett’s Insurance in downtown Safford throughout October. There is a handmade porcelain baby doll donated by her crafter, Rosalie Pratt; a table lamp of cedar wood, inlaid with turquoise, donated by its crafter, Wade Dabbs; a quilted wall hanging depicting an overflowing Christmas stocking, crafted and donated by Auxiliary member Joyce Flamm, displayed on a wrought iron hanger donated by crafter Ruben Rios; and a holiday wreath crafted and donated by Lori Gibbons. Raffle tickets are available for purchase now at the Hospital Gift Shop as well as during the event. They are $1 each, 6 for $5, or 15 for $10. Winners will be notified after the drawing at the close of the fundraiser on Saturday, November 3rd.